The Perfect Ladies Golf Snack! Oh My Goodness” cereal bars are a fantastic snack for golfers that do not want to buy confectionery products. 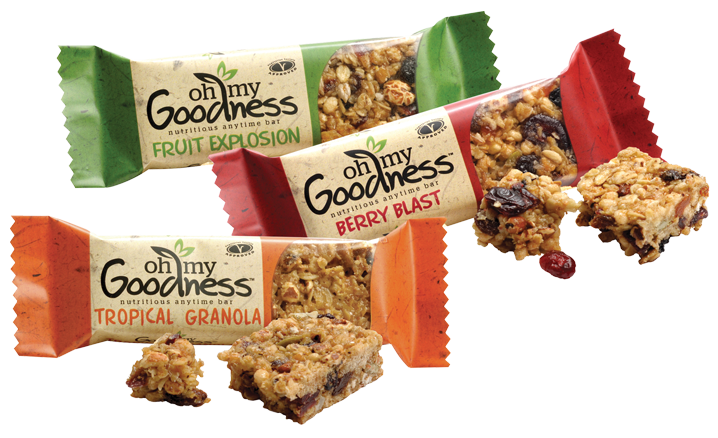 At only 183 calories, Oh My Goodness bars offers the golfer a NUT & DAIRY FREE tasty snack that is LOW in Saturated Fat. 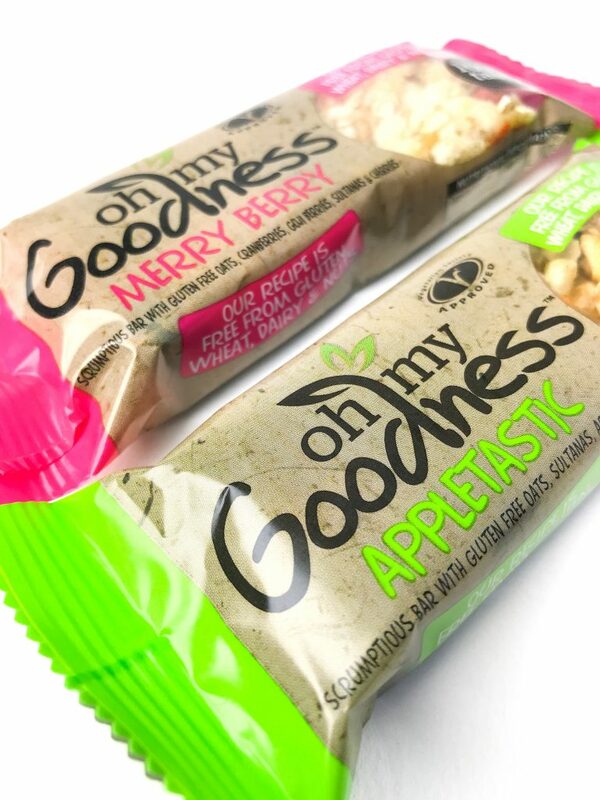 Lovingly made with choice fruits & a delicious combination of cereals…savour & enjoy! A mix of fruits and seeds including Sultanas, Cranberries and Sunflower Seeds. Crunchy granola with a medley of sun-kissed fruits from the tropics. Made with a variety of tropical fruits such as dried mango, peaches and papaya. A tasty Back-9 treat to help you on your round. Berries combined with delicious cereals & honey’s…we believe it is perfection in a bar! 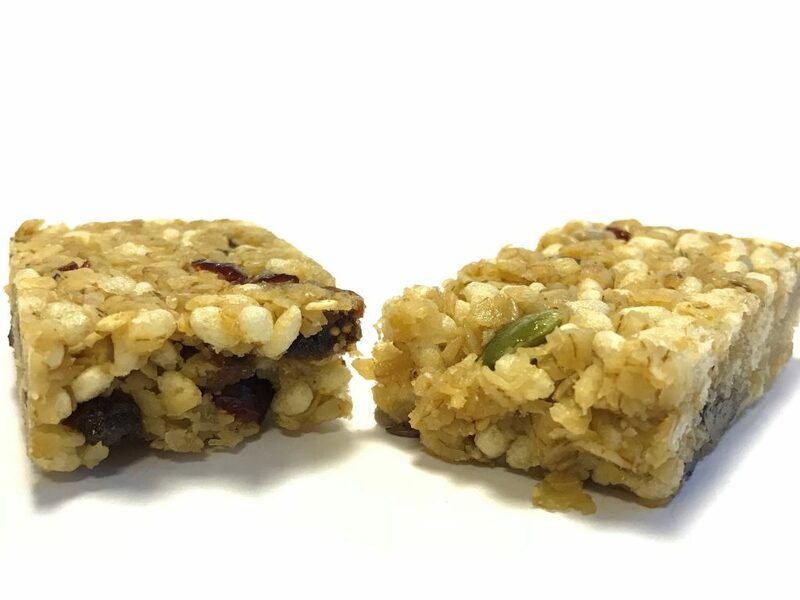 When mixed with oats, they come together to form a delightful bar that can be enjoyed as an alternative to confectionery. Cranberries, Dried Sour Cherries, Blueberries and Goji Berries with the addition of Pumpkin seeds.